Madison Sterns takes the time to understand the needs of each client. We develop flexible business technology solutions and provide experienced staff to implement projects according to our client’s objectives. Madison Sterns offers clients consulting services in a number of areas resulting in tangible benefit for our clients. System integration teams provide full service technology solutions. Clients receive project scoping and development services, process technology support, staffing, change management, education and training to ensure successful project implementation. System integration teams ensure solutions integrate technology and process with human capital. 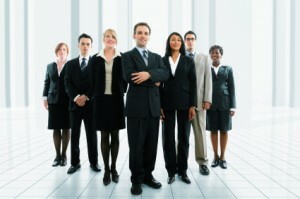 Advisory teams focus on specific organizational needs for business operations improvement. Our advisory services can help companies with software evaluations, change management, education and training, social media, supply chain management, business process improvement, six sigma analyses, and human capital management. Our advisory teams focus on business transformation through clarity of business objectives, cost reduction and/or sales improvement and customer retention. Clients with diverse needs can choose from a variety of staffing, planning and recruiting solutions. Large, complex projects in the planning stages may require a multi-discipline project teams. Madison Sterns can help you with any project in its entirety. Projects that are already in progress may require focus on a specific element, such data security. Madison Sterns can help your organization gain a competitive edge by crafting a customized solution for your next technology challenge. Madison Sterns provides qualified skilled experienced professionals to help our clients resource backfill, contract-to-hire, and/or specialty assignments. Our skilled professionals can work side-by-side with existing staff, work independently, or assist with new projects and technology solutions. Take full advantage of Madison Sterns consulting staffing services for immediate help with your most pressing staffing issues.